Government and social organizations often offer certain provisions and benefits to disabled people to make life easier for them. However, in order to avail these benefits, the disabled people are required to present authentic proof and also to fill in certain papers. This is where the disability forms come into play. 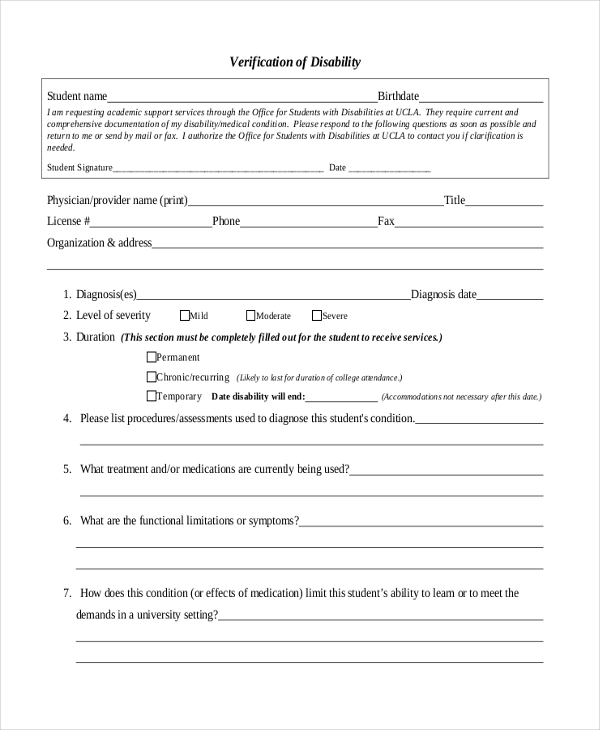 There are different types of these forms and the organizations can create these using Disability Forms which give them an idea of the format and the segments to be used. 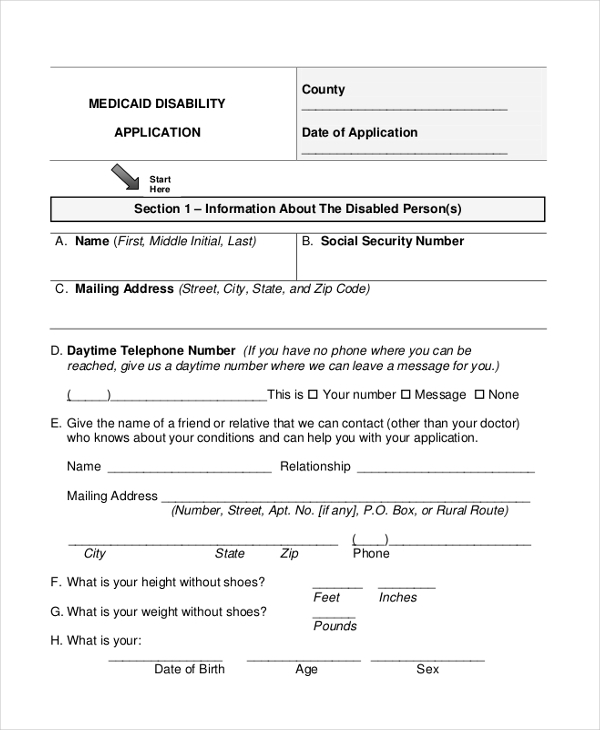 When applying for social security number and other provisions, the government agency expects the disabled person to fill in this form with the details of his inabilities. You may also see Social Security Disability Forms. 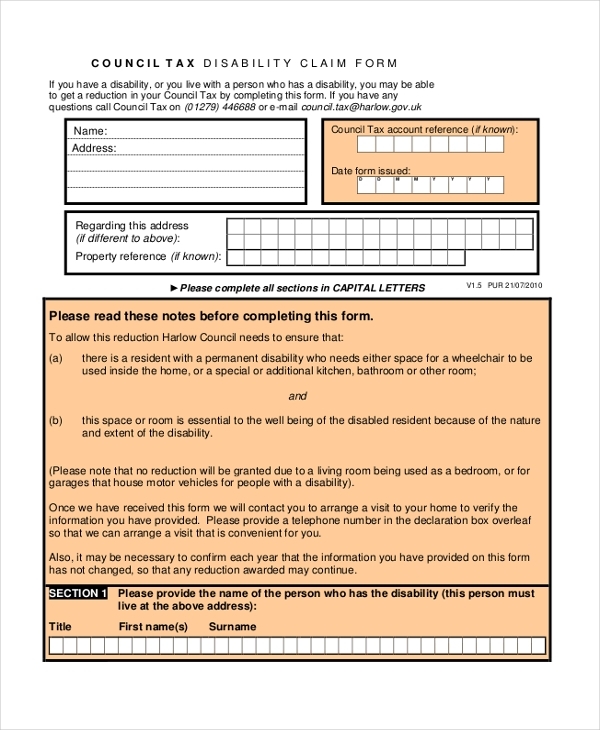 A disabled person, who wishes to claim certain benefits that are offered by an organization, is required to fill in this form with his personal details and information about his disabilities. When a person wishes to get insurance cover, the insurance company asks this form. The form comprises of all the important segments that urge the person to share his personal details and disabilities. A disabled person can avail the special parking permit issued by the government. However, in order to avail this, he has to fill in the aforesaid form and submit it to the authority concerned. 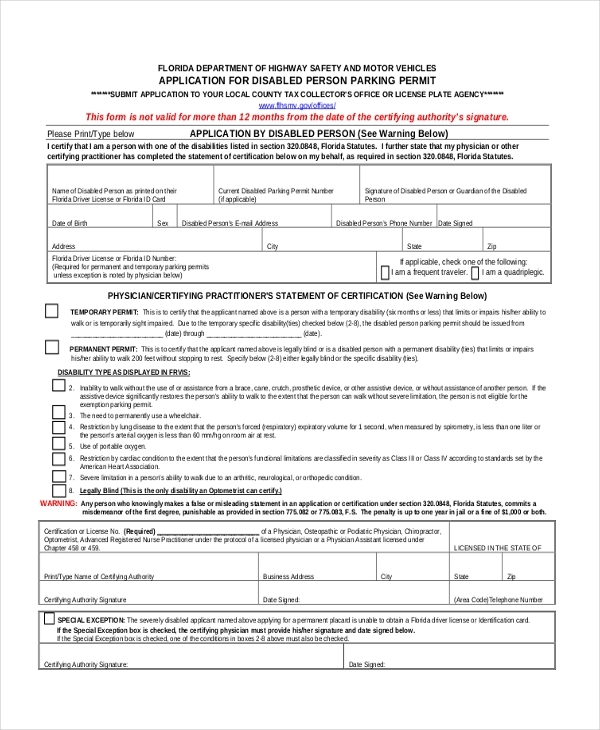 You can also see Disability Parking Forms. 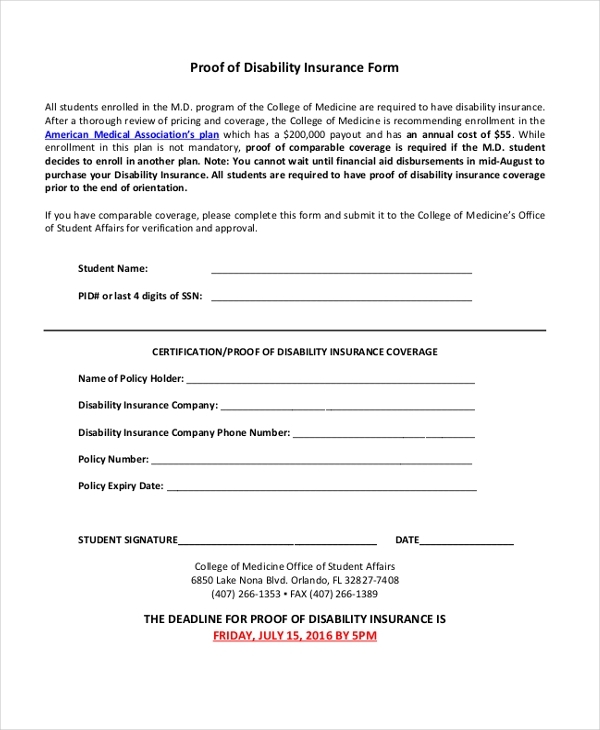 In order to avail certain benefits, a disabled person may have to submit certain proofs. Along with these documents, he may also have to fill in this evidence form stating that all his documents are authentic. Government agencies make use of this form to enable a disabled person to register in their special rosters for the physically handicapped. This, in turn, helps the person to avail certain provisions that the government offers. A person who wishes to avail the medical aid offered by the government to the disabled is required to fill in this form with his personal details and the details about the disability experienced by him. You may also see Medical Examination Forms. When a person applies for certain disability provisions or benefits, the government appoints an official to verify if the person is really disabled or not. The aforesaid form is used for this purpose and the official uses this to fill in his findings during the verification process. Government agencies and nonprofit organizations use this form to enable disabled people to claim the living allowance offered by them. The person wishing to avail this allowance is required to fill in this form to apply for the benefit. You may also see Disability Claim Forms. 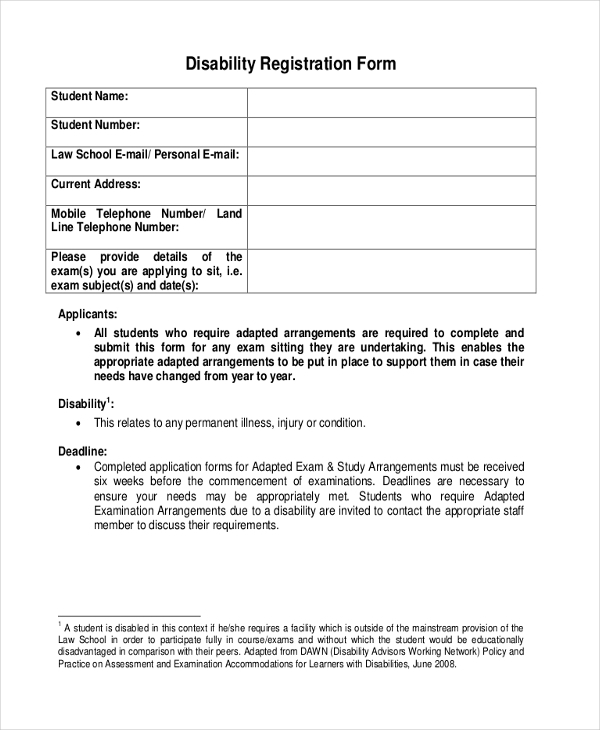 When a person is suddenly rendered disabled due to some illness or accident, he can notify about this to the various government agencies as well as his company using this form. 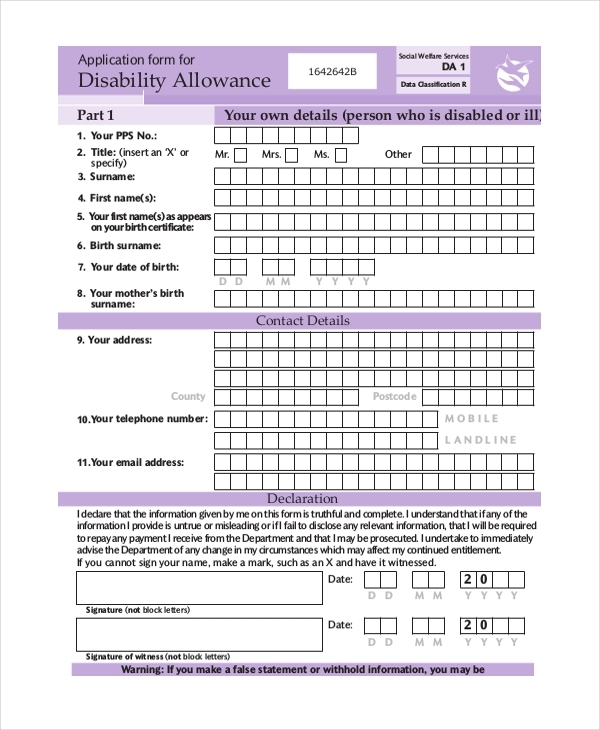 This form is used by the tax department to allow a disabled person to claim the special provisions that it may be offering such people. The form needs to be filled in with the personal details of the person and then submitted to the taxation department. 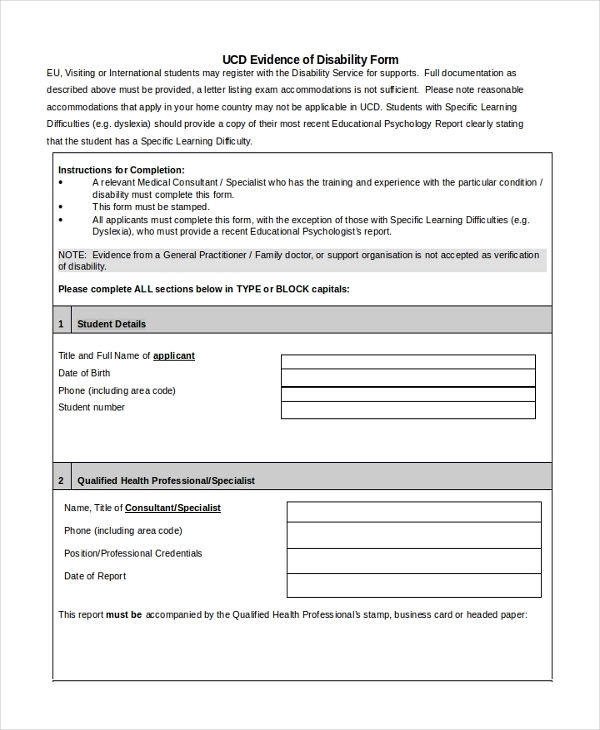 Need help to design disability forms for your organization? Take some cue from the huge collection of disability application forms that we have to offer. 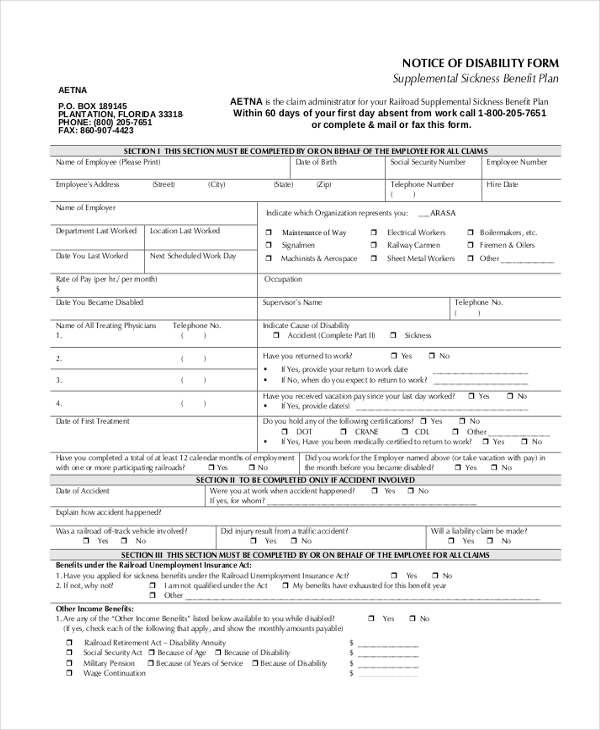 Easy to download and customize, these forms are extremely cost effective and will help in saving a lot of your time and money. 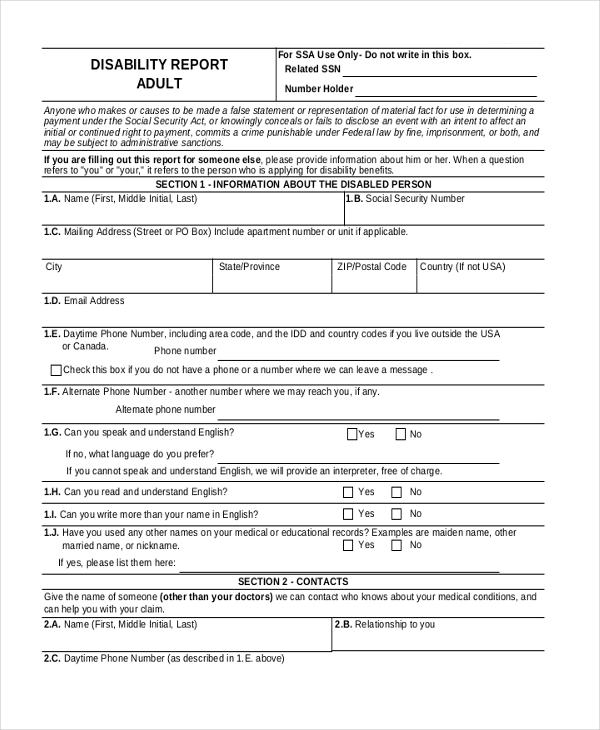 You may also see Physical Examination Forms.